The Transactions tab is where you will find all your subscription membership requests. 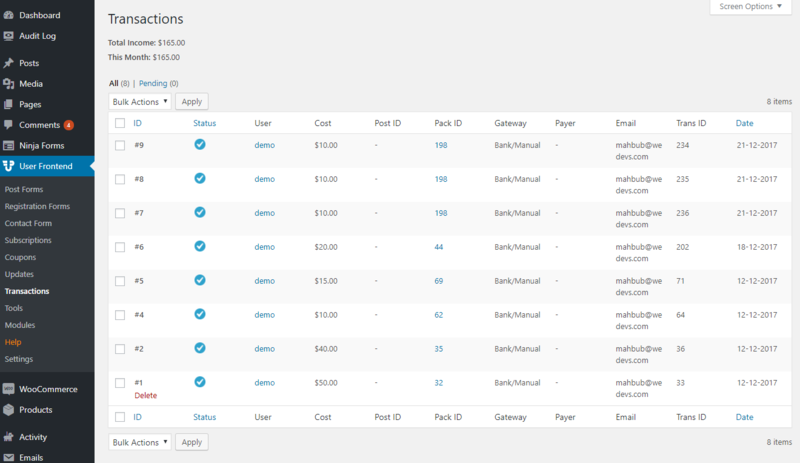 To find it, navigate to WP-dashboard->User Frontend->Transactions. The Transactions menu has 2 main tabs – ALL and PENDING. The requests are all organized with different categories: ID, Status, User, Cost, Post ID, Pack ID, Gateway, Payer, Email, Trans ID, and Date.